Forward Nick Bonino (Hartford, Conn./Nashville Predators) has been added to the roster of the U.S. Men's National Team that is competing at the 2018 International Ice Hockey Federation Men's World Championship in Copenhagen and Herning, Denmark. Bonino will be playing on a U.S. Men's National Team for the second time. 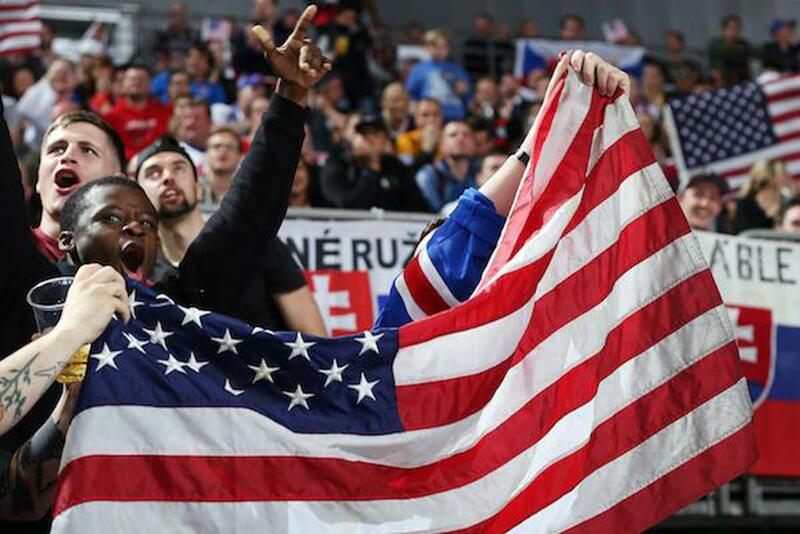 Three years ago, he tallied two goals and two assists for four points as the U.S. Men's National Team claimed a bronze medal at the 2015 IIHF Men's World Championship in Ostrava and Prague, Czech Republic. Bonino, a two-time Stanley Cup Champion with the Pittsburgh Penguins, just completed his first full season with the NHL's Nashville Predators. In 71 games, he collected 25 points (12-13) and added five points (2-3) in 13 playoff games. Before joining Nashville, Bonino spent two seasons with the Pittsburgh Penguins (2015-17), one season with the Vancouver Canucks (2014-15) and part of five seasons with the Anaheim Ducks organization (2009-14). All total, Bonino has played 478 regular-season NHL games with 87 goals and 125 assists for 212 points as well as 18 goals and 27 assists for 45 points in 88 playoff games. Bonino played three seasons of college hockey at Boston University (2007-10) before embarking on his professional career. The final U.S. Men's National Team roster now sits at 14 forwards, eight defensemen and three goaltenders. For the complete roster, click here. Team USA (2-2-0-0/W-OTW-OTL-L) continues preliminary round play against Korea today at 8:15 p.m. local time (2:15 p.m. ET) live on NHL Network. 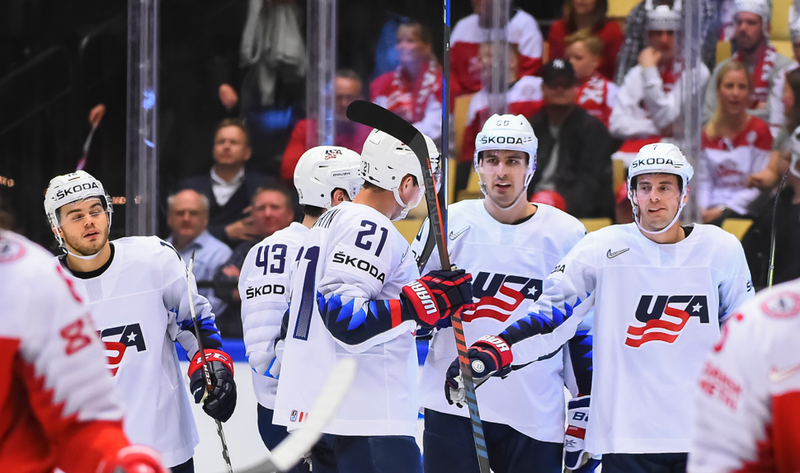 NOTES: The U.S. (2-2-0-0/W-OTW-OTL-L) has started the 2018 IIHF Men's World Championship with four straight wins for just the fourth time in U.S. history ... Jeff Blashill (Detroit Red Wings) is serving as head coach for the second straight year ... The staff and players of the 2018 U.S. Men's National Team are selected by Bill Zito (Columbus Blue Jackets), general manager of the 2018 U.S. Men's National Team, along with members of the U.S. Men's National Team Advisory Group that includes Stan Bowman (Chicago Blackhawks), David Poile (Nashville Predators), Ray Shero (New Jersey Devils), Dale Tallon (Florida Panthers), and Jeff Gorton (New York Rangers) ... For complete coverage of the U.S. Men’s National Team, visit teamusa.usahockey.com/2018mensworlds … The official online home of the 2018 IIHF Men’s World Championship is 2018.IIHFWorlds.com … The U.S. has finished in the top four of the world championship in three of the last five years ... USA Hockey's international council, chaired by Gavin Regan (Potsdam, N.Y.), has oversight responsibilities for all U.S. national teams ... NHL Network is the exclusive U.S. rightsholder for the tournament.